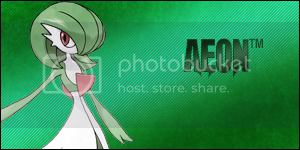 Discussion in 'Pokémon Guilds' started by ger9119, Mar 28, 2014. Welcome to Crusade's Order, A guild where you will train to become a powerful knight by undergoing rigorous training you will become a legendary knight with a strong reputation through our kingdom. The Knights and our Crusade will Rise! 1. Follow all SPPF rules, of course! 2. Be active. Thread activity is of utmost importance, and many guilds die because of a lack of it. Therefore, there will be a requirement of at least two posts per month for you do stay in the guild, unless you inform us (the leaders) of extended abscences. That being said, make sure your posts are on either the topic of pokemon or the topic of guild affairs, because otherwise they would be spam. If you’re not following this rule you will not be allowed to participate in wars, major tours or even mini-tours. 3. Be loyal. If you leave the guild 5 times, you will no longer be welcome to join. 4. Don't cause drama in the thread or the Xat. If you don't like how something is being handled, take it up with the leaders PRIVATELY! We're here to keep everything running smoothly, and help you in anyway we can, but stirring up trouble of any sort will not be tolerated. If you do, the authority present will take action as they see fit. This includes flaming, trolling amongst other things. We understand there will conflicts at times but don’t let it take over the guild or you will be dealt punishment swiftly. 5. When you post battles, PLEASE use the correct forms. A simple tweak to the way you post battles makes our job infinitely easier, and if you post a battle with incorrect form, it will count as a loss for you, and a win for your opponent. If you don’t post a battle with a proper form it will be consider null and void and you will not get any Rank-Up points. 6. This is a primarily a PO/PS guild, even though all users are welcomed to join. Crusade’s order has a very different testing process from other guilds. Instead of the normal one test battle we run a Bo3 format (best out of three). You must bring three different OU (Overused teams) and you will be graded 1-3 in each battle, 1 being the lowest possible score and 3 being the highest score you can achieve. You will be graded based off of the team you built yourself, the game score, and your general skills overall. Depending on how you do or score you will be placed as a Court Jester, Ruffian or Swordsmen's Apprentice Rank. You can also decline testing and be automatically placed into the Court Jester Rank. There are a few ways to earn points towards ranking up in Crusade’s Order I will now go over each one. Minitours can occur whenever 4 or more people in the guild are around and willing to fight. They will all be Standard OU. Winning a Minitour gets you 2 Rank-Up Points, and getting 2nd Place gets you 1 and Rank-Up Point. In-Guild battles also get you 1 Rank-Up Point. 10 Rank-Up Points are required for you to achieve the next rank. Winning War matches will also get you +2 Rank-up Points Once you have 10 Rank-Up Points, you battle someone in the guild of a higher rank than you (if there is one). If you win, you advance to the next rank. If you lose, you can try again in 48 hours. After you've reached Shining Armor rank, you will need 20 Rank-Up points to rank-up. To Rank-Up to Lancelot, the final rank, you will need 40 Rank-Up Points. You must post the proper battle form for any battle to count towards rank up points if you do not post the form your battle will be null and void. You're a lowly jester. No one expects anything to amount from you yet. Time to prove them wrong! While not properly trained, you have the capabilities needed to be a knight. You've begun training under a true warrior. You're really on your way now! You are a knight's most valued weapon. With your help, wars have been fought, won, and lost. You're the gear any self-respecting knight must have. Without you, most knights would fall in a second. You are the trusted steed of a knight. He shall ride you to victory. You're a knight, but far from being one of the greats. You still have a long way to go. People have started hearing about you. You're now on your way to being an established and respected knight. You've finally become a well established and respected knight! You're a man among men, but can you go any farther? You are the greatest knight the world has ever seen. You're name shall be known throughout the world for centuries to come. The King’s second in command, the most loyal subject that King has at his disposal. The Duke is in charge of helping the King with general upkeep of the kingdom. The ruler of the kingdom, the leader of all the knights. He maintains order with a strong sense of Justice. Do you want to help the guild become one of the greatest? Do you want to get your name known by the other guilds? There's scarcely a better way than being part of The Knights of Justice! Do you think you have what it takes? If you do, set up a battle with myself (Mean Mr. Snorlax), or Ger9119. War tests will be Best of 3. Our current War Record is 3-0. The Defense Cavalry lineups can and likely will change between wars. Love the Pokemon Anime? Ever which you could have Pokemon Battles like the ones depicted there rather than be restricted to the game's mechanics? Well, look no further than The Pokemon Anime Style Battling League, or ASB for short. If you're interested, you can send me a message with any questions you might have. You should also check out the Getting Started thread and ASB's website. If you would like to give it a try, check out the Squad Submissions thread to pick your starting Pokemon and find a battle in Open Challenges! I'm an ASB League Official and Signature Move Reviewer. Feel free to come to me with any questions! 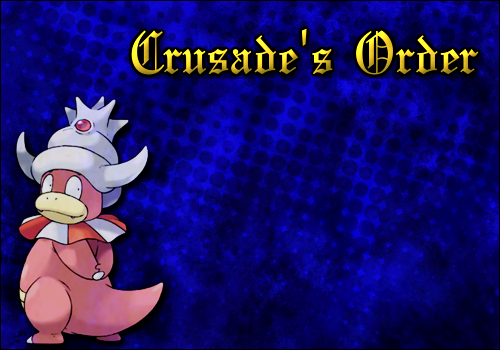 One of the events we will occasionally host here in Crusade's Order are Community Nuzlockes. These are run by myself, Mean Mr. Snorlax. For each Community Nuzlocke, we think of three options for game and ruleset, give brief descriptions of the ruleset (and game if it's a hack), and then the guild votes. When voting is over, the winner is declared, and the nuzlocke will start. Depending on the difficulty of the nuzlocke, some will last one week, others will last two. At the end of the time, all those who want to participate (whether they won, lost, or didnt finish) with their Team (same movesets, same Natures, same abillity, same held item, 31 IVs accross the board and 0 EVs) will battle each other in a round robin tournament. This tournament will last another week or two, or until everyone has battled each other once. Another event that will be hosted on occasion are Community Create A Teams, or CCATs for short. We host voting on what tier and style we should do, and after a certain period of time, the votes will be tallied and the winner will be decided. 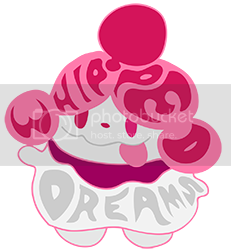 Next, everyone will post the pokemon they think the team should be centered around along with the set that will be used on the team, and another voting period will commence. Anyone nominating a pokemon should explain thoroughly why that pokemon should be part of the team, especially if it's a pokemon not commonly seen in OU. This process will repeat itself five times, and then we will have one last voting period where we make edits to the team. Minitours can occur whenever 4 or more people in the guild are around and willing to fight. They will all be Standard OU. Winning a Minitour gets you 2 Rank-Up Points, and getting 2nd Place gets you 1 and Rank-Up Point. Major Tournaments will be held often on the Tournament's thread. 1st prize is a Rank-Up + a Banner + 5 Rank-Up Points, 2nd Prize is a Rank-Up + a Banner, and 3rd Prize is a Banner. Tested Moony for the War Team. G1 I won 5-0 (Team Pixies lgi) G2 I lost 2-0, and G3 I won 4-0. Once we have more test, I'll put your scores against the scores of others and decide the war team. Former War Team member of Creamery Command. Bray asked to be placed in Court Jester rank, as he only plays old gens. Welcome to Crusade's order, placing into Jester until a rank battle can occur.